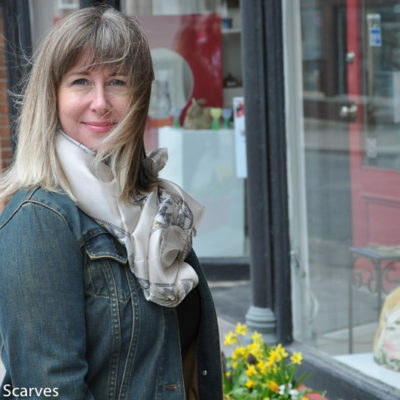 My favourite silk scarf, with dragonflies of course, styled four different ways. Isn’t it wonderful when one silk scarf works in so many different ways? Here I show you how to style this silk scarf 4 different ways. 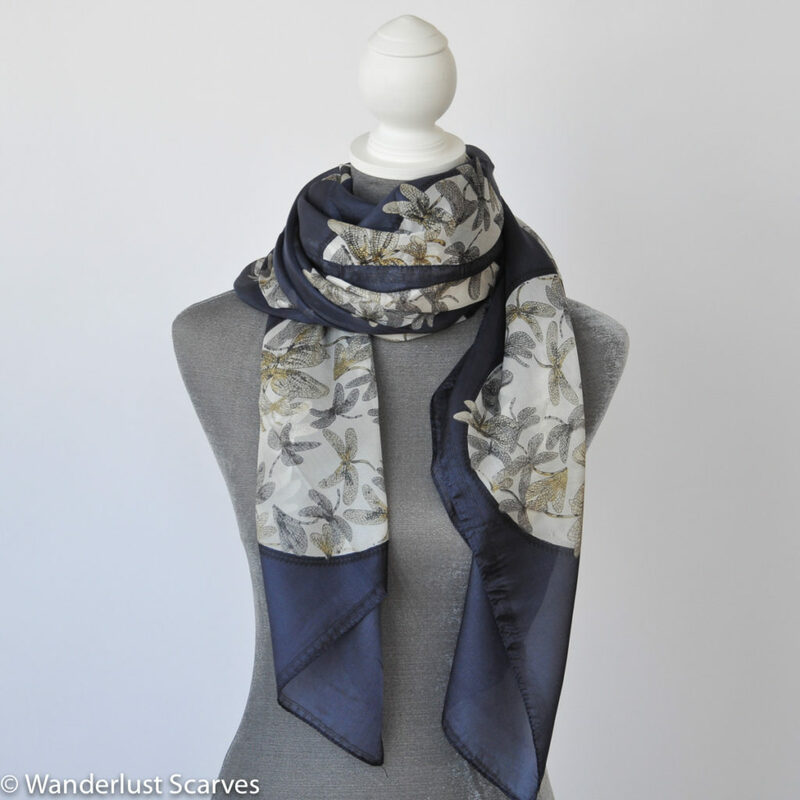 This gorgeous scarf is definitely a four season scarf and available in 4 colours! Comment and let me know which one is your favourite.